Ricky Chelette is Executive Director of Living Hope Ministries and has been involved in ministry in the church for over 30 years. 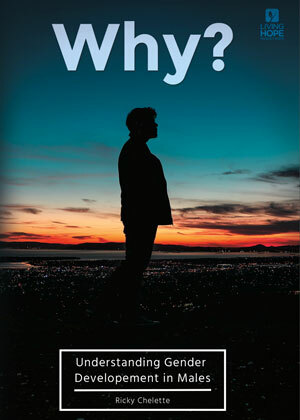 Speaking to thousands of teens and adults who struggle with their sexual identity, Ricky brings vast experience and personal knowledge to this difficult subject. His logical, humorous and straight-forward approach makes sense of a very complex and often confusing topic. Ricky has a BA in Political Science/Pre-Law, a Master in Religious Education, an ordained minister, and has taught at seminaries, colleges and universities. Cost includes shipping within the US. 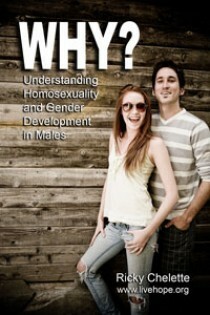 If you are in Australia, you can order this resource from Renew Ministries. If you are interested in shipping outside the US other than Australia, please contact us directly at info@livehope.org. This is NOT a digital download but a DVD that will be delivered to you. Please allow 5-10 days for delivery. Save $5.00 when you order the Why? DVD set! This set includes this DVD plus the WHY? DVD for women.